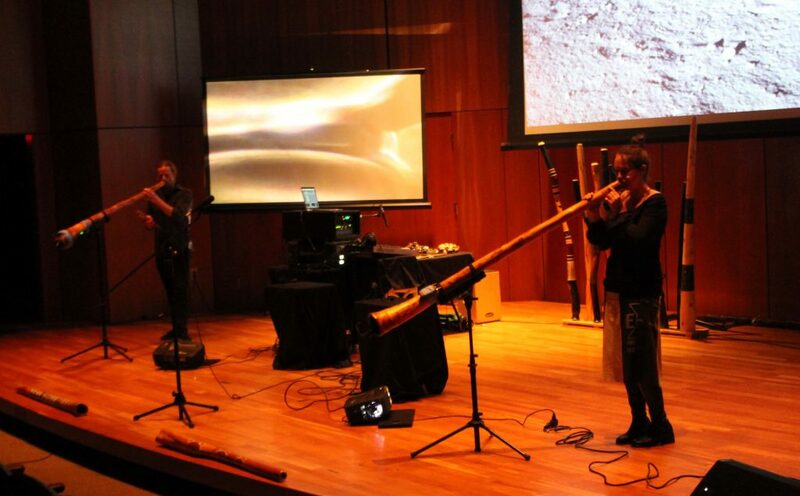 Didgeridoo Down Under: Australian Music – Education – Entertainment! We perform at a wide array of corporate events, ranging from small and intimate to huge and festive. We offer several options (including both solo performers and duos) to help make your event an unforgettable experience! 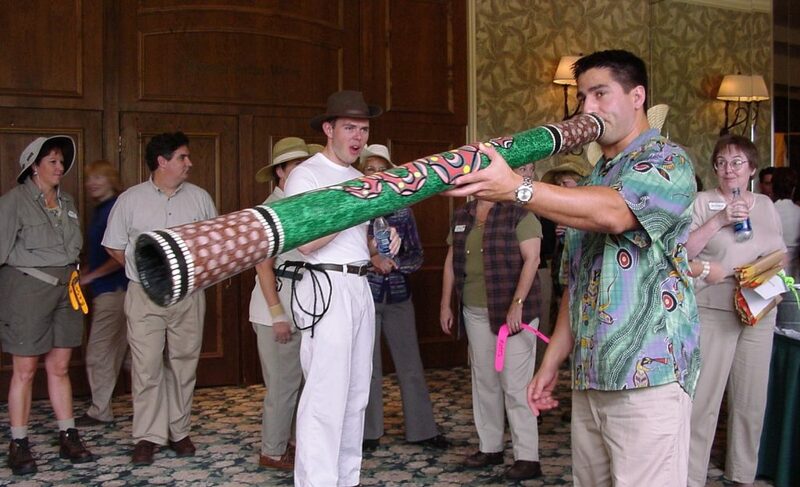 Arriving guests will be greeted with lively didgeridoo music, helping to set the event theme. 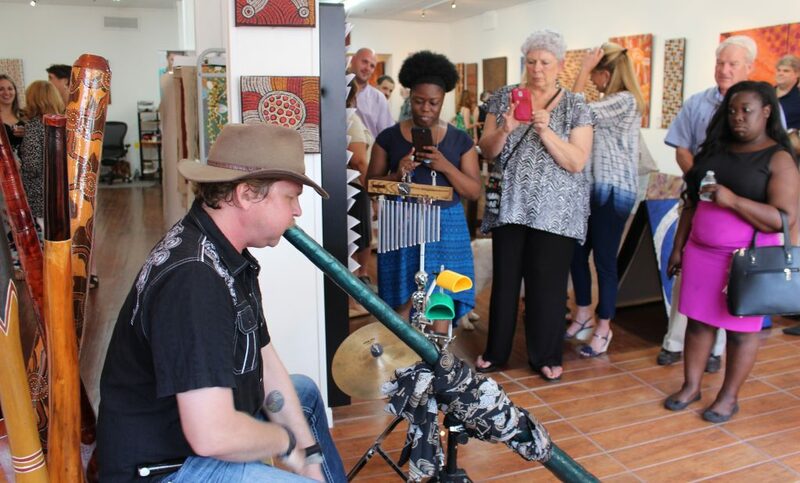 We’ll play relaxing, ambient didge music while your guests sip and mingle. Guests can approach us at their leisure, to ask questions or take photos. 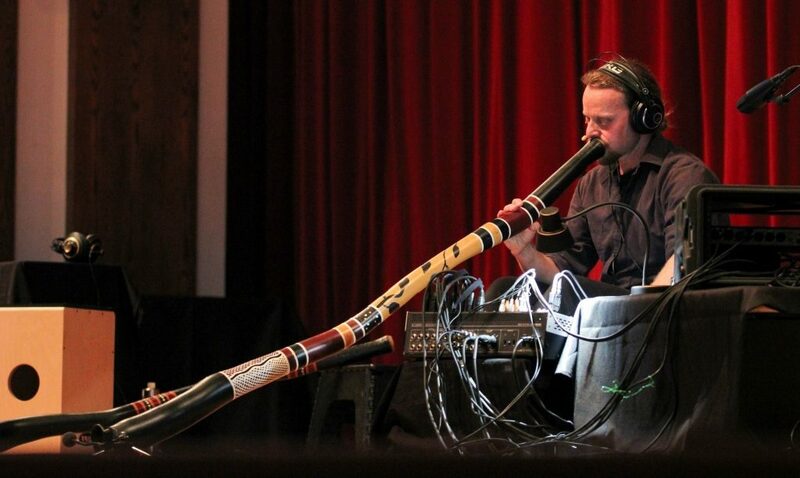 We’ll take the audience on a musical journey to Australia, as the performer(s) play(s) an assortment of didgeridoos and percussion instruments. We also might invite audience members to join us on stage for a jam session, which provides a great photo opp! This interactive booth features short musical performances and quick didgeridoo lessons, and a display of Aboriginal art, boomerangs, pictures and more. The booth is ideal for a strolling audience, and provides the best opportunity for guests to talk and interact with the performer(s). 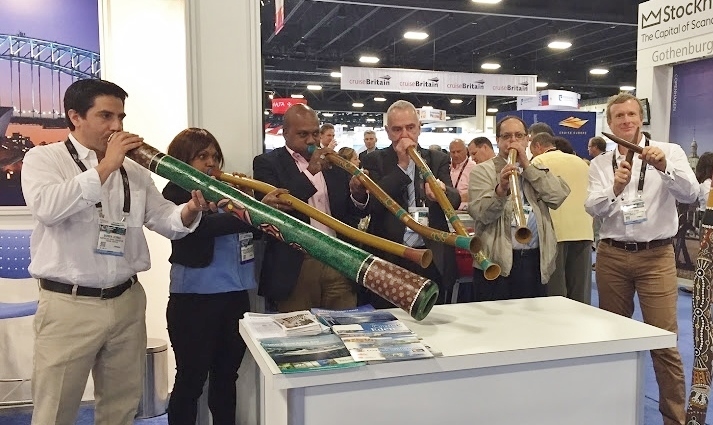 We also can play didgeridoo while walking through the crowd. This works well between acts, especially with a strolling audience. Please contact us for a price quote and more info.